This one starts with a cold open, one right out of the Vince Gilligan textbook, or maybe one from whoever directed that Firefly episode that opens with Mal sitting on a rock, naked, in the middle of a desert. Except this cold open is set exactly four years ago today, and the man isn’t in a desert on a rock, but is slumped over a desk, in a pose that is awkward and certainly unnatural, but mercifully fully clothed. He strains every now and then, each shuddering motion a little more urgent, a little more ragged, but also a little more resigned than the last. “That went well,” Mal quips in his opening, and this man would like to say this too, except he can’t really move his jaw without pain. It really hasn’t gone well either. This man is me, and somehow, somewhy, I’ve become ensnared this day, strands of my then lavish beard held in a vice-like grip by my late 2011 Apple iMac’s DVD drive, the left side of my face now bound to the fate of this hunk of brushed aluminium and glass. I still really can’t believe what has happened to me right now, the grim realisation having swept over me and then retreated under the weight of improbability several times already in the minutes I have been yoked like this. It can’t be denied for much longer though—there’s logically, and literally, no escaping it. I’m not sure how long I’ve been stuck for now; my eyes are trying to dart around to see if I can find my phone so I can call for help. Other parts of my brain are trying to come up with alternative plans of action, none of which seem potent. Call out for a neighbour to summon the fire brigade? Would they know what to do? Is there a specialised DVD drive rescue division? Would I appear in some five minute segment of one of those “World’s Craziest Rescues” that you might see on 7mate at 1am in the morning? Who would play me in the dramatic reconstruction? I always wondered who would play Magnum in a Magnum PI remake, but never who would play me getting rescued from the jaws of a DVD drive. There was a minor villain with a rocket launcher in a James Bond film who looked a bit like me. I wonder if he still acts? Maybe they could spice me up a bit. Tom Hardy might be a good choice. He is very beard capable and as a bonus he did star in a Star Trek movie as well, although unfortunately the worst one. A quiet calm has also descended. I always thought that my death certificate would read “Hit by an ice cream truck” or similar. But no, I almost chuckle to myself now: it was always going to be this, affixed forever to the right side of a video display in my very own home office, a Wario Amiibo staring at me mockingly from the corner of a desk. At least they wil be able to say that I died doing what I loved: peering behind my computer so that I could try to insert a USB Type-A plug into the slot the wrong way. I was always good at this too. Just before I’ve almost completely given in to this ultimate, irresistible state, I attempt one last, violent jerk of the head away. There’s a quick staccato series of sick popping sounds this time, and my head lurches suddenly away. I’m free—I think?—although it takes a little while for this to register. 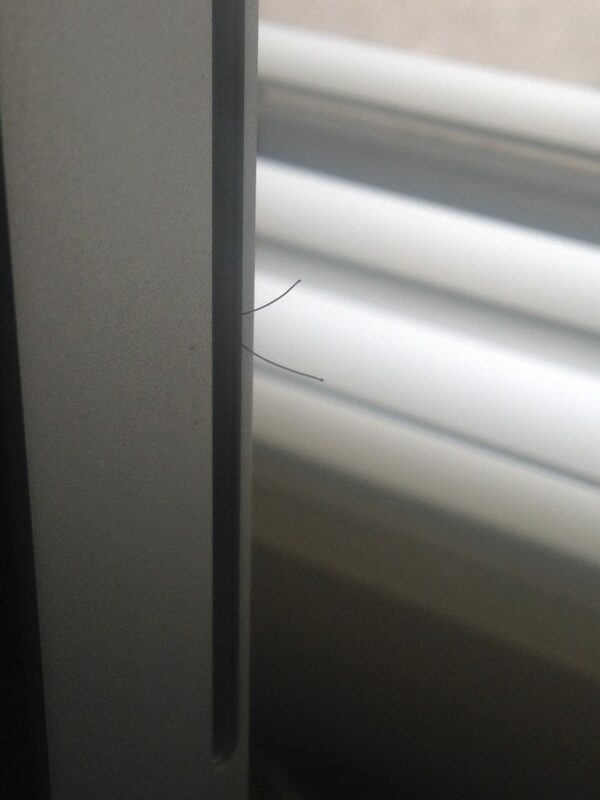 The only immediate sign of the trauma I’ve just endured are the couple of coarse whiskers now protruding from the side of the iMac’s malevolent chassis, two final hairy indignities. A more thorough inspection of the scene would also show some of my regular desk paraphernalia has also been disturbed, but you’d have to be intimately familiar with this environment to really notice, and I doubt anyone else would. One thing is for sure though: I’ll never forget just how fragile our attachment to this mortal coil is, or how strong a beard’s attachment to a disc drive can be.